Mr Jean Thiercelin, you are one of the French members of the Henokiens Association, could you please present yourself to our readers ? 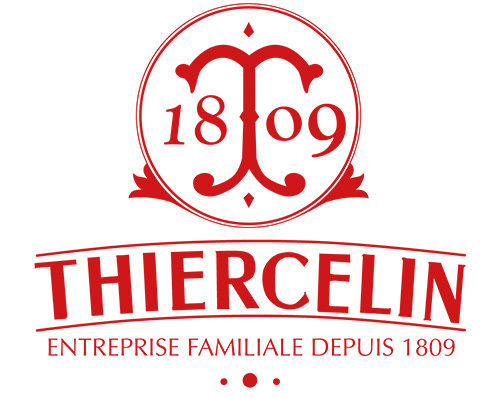 > Jean THIERCELIN : I manage with Enriqueta my wife the family business founded in 1809 by Jean Thiercelin who was winemaker and wet cooper in Pithiviers-en Gâtinais in Loiret county (100 kms south of Paris). Could you present your company and its activities ? > JT. : Our business is the process and extraction of natural and vegetal ingredients for health, food and cosmetic industry. We work a wide range of products, essentially from plants origin, rich in rare colours, flavours and tastes, such as spices, herbs, flowers, and exotics fruits. We transform these natural ingredients adding value and pack it to improve attractiveness and the ease of use, putting in evidence organoleptic characteristics and health benefits. In order to maintain a high level of premium quality, we work directly at the source, hand to hand with farmers and growers. A close collaboration based on fair trade we have maintained since the very beginning. These are the strong values of our business foundations. It is for us the insurance of having the control on premium quality raw materials and respect the true worth of farmers’ work. This ethic has a price.  Therefore we focus our offer to connoisseurs and customers with high expectations either they are professionals or end users. We are definitely burning defender of natural, genuineness and quality. Which have been the outstanding events for your company in the recent years ? > JT. : Our company has known great successes just like troubles and of course couldn’t escape from risks of History (world wars, economical crises) not to mention common vicissitudes of Family issues which goes along with all family business. However, there was always one member, one son to take over this challenge for six generations. We are now at the stage of consolidation and preparing future for the next generation through the opening of our brand new manufacture at Combs la ville, Seine et Marne, France - about 60 kms from Paris. Could you give us some indications about your major projects in a medium or long term ? > JT. : One of our coming biggest challenge is to succeed in the transmission of the company by relays to the 7th generation, taking into account difficult times and environment we are facing nowadays. Our activity being quality and natural ingredients, we are facing complex situation due as much to the offer than the demand within an environment in total evolution. For twenty years now, we have been focusing on end users with the huge ambition of democratizing genuine high quality products. We are living a time where you have to go to get the customer; chase him/her and make him/her discover a new experience of consumption of a high quality and innovative products, source of pleasure and loyalty. A straight and frank speech to sensitive audience. A marketing and communication plan dedicated to specific target and promoting the value of quality. This exercise become possible since we have developed local marketing tools and online sales network (www.thiercelin1809.com). End, for 5 years now, the family group invested into a totally new field which we believe will have a lot of excitement for the coming years : new technologies and high tech solutions. It resulted in our branch Flying Pig (www.flyingpigsolutions.com) which was created in 2007. Talents involved within this adventure and severals years of intense implications brought up and made the impossible : Edouard® (Edward), the birth of a new Enterprise Resources Optimizer solution. It will be presented this June at San Francisco for the first time. Moreover, we launch this year the american branch, Flying Pig corp., to bring the solution in the US market during the third quarter 2010. How can you explain the longevity of your company ? First of all an ethic, ability for sacrifices and passion for quality. Unbreakable tenacity, determination and of course a strong sense of responsibility. A long term vision and facing daily reality as it is. A huge capacity of work as overflowing creativity and enthusiasm with a excellent health. Thanks God. Could you say that this extraordinary longevity is an asset in your customer relations ? > JT. : Even though we think it could, it is not our key assets during negotiations. Of course it is reassuring our customers and result of consideration. However we often have to explain that it is not just marketing. Every time we have to explain our philosophy and our vision for a fair trade and long term partnership. This is true during our negotiations with our growers as much as our customers which often come to share the same value and finally help us to promote our quality made in France. It is a chain of mutual respect within the supplier and the customer. Do the traditional values guiding the firm constitute an advantage as regards research and innovation ? > JT. : Yes, since our resources are limited (time and money) which exceed us to show creativity and use sharp synergy to consolidate markets and open new ones. As for example we came out recently with the range of spices syrups and ice creams of genuine quality for the end user. Which are the most important traps, that your company must avoid in order not to lose its independence ? > JT. : You need to control your development. Avoid at all costs starting a business again from zero without considering existing assets and past experiences. We rather go for evolution than revolution. Our investment are secured and diversified in order to face either crises or downturn economy. Above all, we are always looking for promising and innovative projects. Innovation, research and development are crucial to go through ages. On the other hand, human resources is a key element in order to integrate great assets and talents, willing to share the same view of our family business environment. Did over the centuries the strong will of your family to keep its independence require very difficult decisions ? > JT. : During discussions between family shareholders, we have been resigned to relinquish activities like our natural seaweeds based cosmetic industry between the First and the Second World War. We had to sell properties to cover at that time financial needs. Unprepared transmission, separations and losses brought down the company to start again from zero. Is the transmission of the firm to a family member governed by clearly established rules ? > JT. : No, there is no specific established rules yet. At the moment, our three sons are involved in the family business. Jean-Philippe and David, the eldest are working within Thiercelin 1809 and Arnaud my last one, manage the development of our new activity Flying Pig. We have structured, a couple years ago, the family group to allow us to manage the best way with french regulations the transmission between generations. Do you have a message to communicate to all those who would like to start their own family business ? > JT. : The majority of French companies’ web is made of family businesses. It is time, that Public opinion, Administration, and Medias realize this and give us more consideration and emphasis to them. Family business require a lot of sacrifices. It is a daily challenge. However, on the other hand, taking in hand your destiny brings you a lot of satisfaction. You need to be tolerant and in harmony with your environment to bring out all talents, assets and good will for the success of this great adventure. United we stand, divided we fall !